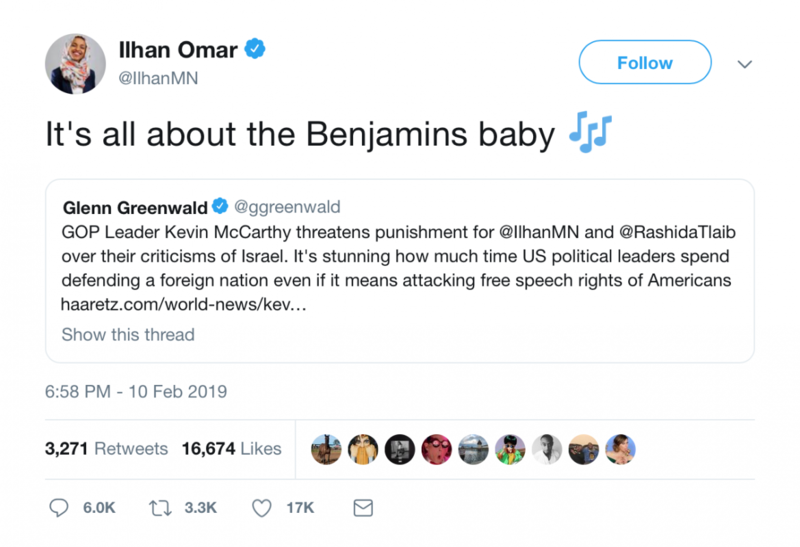 House Speaker Nancy Pelosi issued a strongly worded statement condemning Minnesota Rep. Ilhan Omar’s blatantly anti-Semitic comments made over the weekend…but didn’t say anything about removing the freshman congresswoman from her place on the House Foreign Affairs Committee. 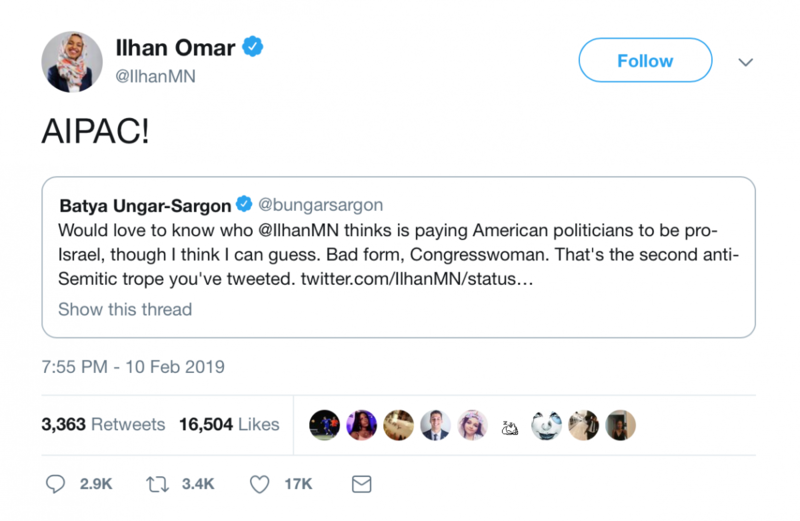 In a tweet accompanying the statement, Pelosi said she'd had a "conversation" with Omar where the two "agreed that we must use this moment to move forward as we reject anti-Semitism in all forms." Omar, an open supporter of Palestine with a well documented history of anti-Semitism, lit a firestorm on Twitter Sunday for accusing the American Israel Public Affairs Committee (AIPAC) of buying congressional support for Israel after House Minority Leader Kevin McCarthy called on Pelosi to get a hold on the increasing number of anti-Semites within congressional Democratic ranks. Both tweets were still up and active more than an hour after Pelosi and her fellow Democrats released their statement.